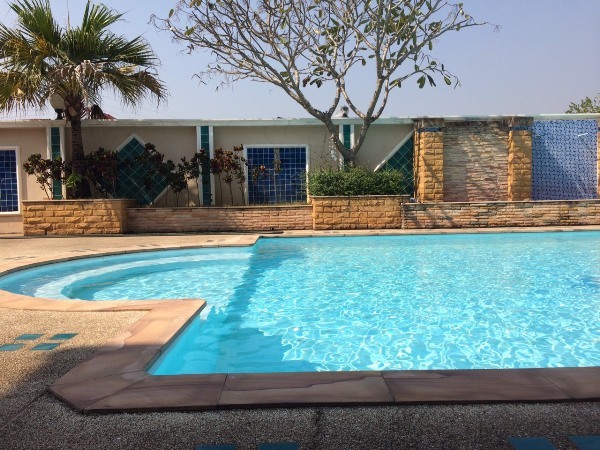 HR4081- House for rent with Private Swimming Pool in Maerim Chiangmai Thailand. 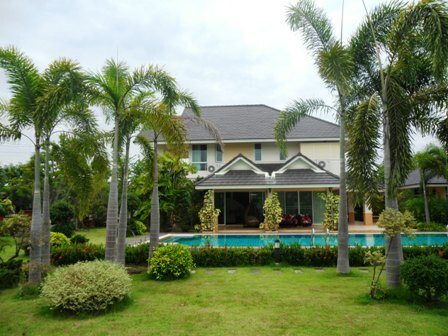 beautiful House for rent with privatet swimming pool in mearim chiangmai. with 5 Beds, 5 Baths ,Living room, Kitchen, Air condition, Hot-Water, TV Refrigerator or fridge freezer. Secure Parking ,Solar-hart system, Hot water,Fully furnished. Rent for 120,000-month, at-least one year contract. Facilities: Swimming Pool, Jacuzzi, Club House, Gym, Sauna, Security, Children s Play ground. 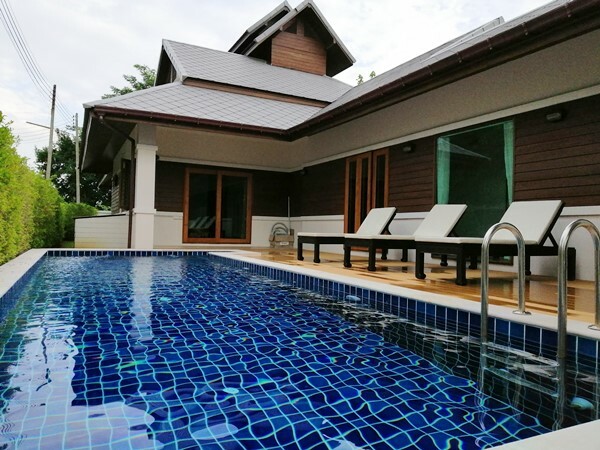 HR1919- House with private swimming pool for rent in Chiangmai Thailand. 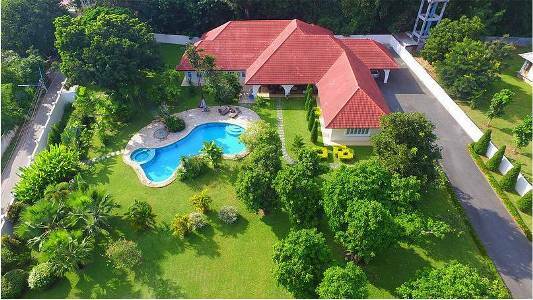 Luxury modern detached property in prime location 1 km from Central Festival Shopping Mall. Only 3.5 km to the heart of old Chiang Mai town. Details : Land Area : 143 Sqw or 575 square meters. Built in 400 square meters. Private salt water swimming pool and jacuzzi with large deck overlooking large pond. 3 bedrooms + maid s quarters, 4 bathrooms. Luxuriously furnished, Italian designer furniture and Italian LED lightings. High vaulted ceilings with exposed teak roof structure. Steam showers in 2 bathrooms. Daikin slim line air-conditioning system all hidden in false ceiling. Automated sprinkler and plants watering system. Auto gate, CCTV on property grounds. 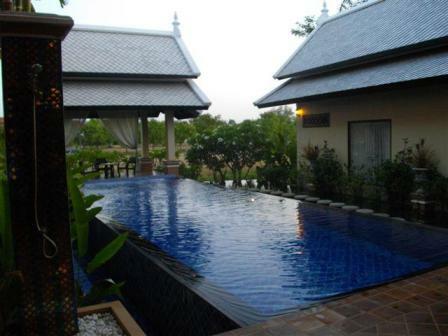 HR1946- House with private swimming pool for rent in Chiangmai Thailand. 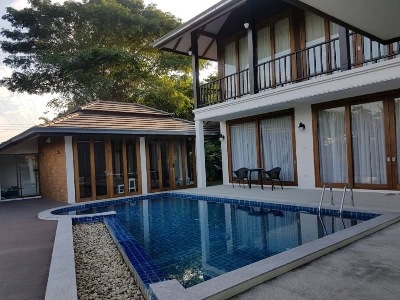 HR1738- House with private swimming pool for rent in Chiangmai Thailand. HR1704- House for rent with Private Swimming Pool in chiangmai Thailand. House for rent very beautiful with 4 bedrooms, 6 bathrooms,2 livingroom, 2kitchen,2 maid,6 air-c(the Promanada). 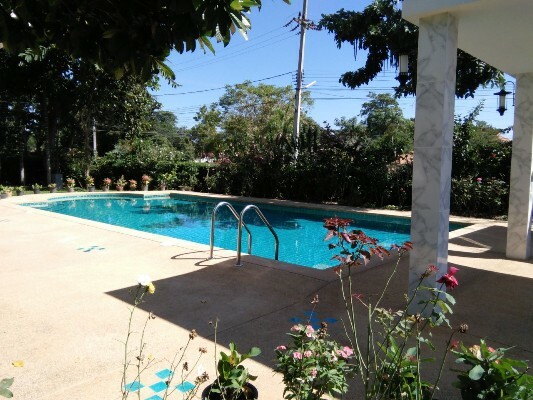 HR1792- House with private swimming pool for rent in Chiangmai Thailand. a beautiful big house for 5 bedroom, 5 bathroom with a private swimming pool in the good location. It takes only 15-20 minutes to the town. Private and quiet area. Asking price 150,000 baht per month. 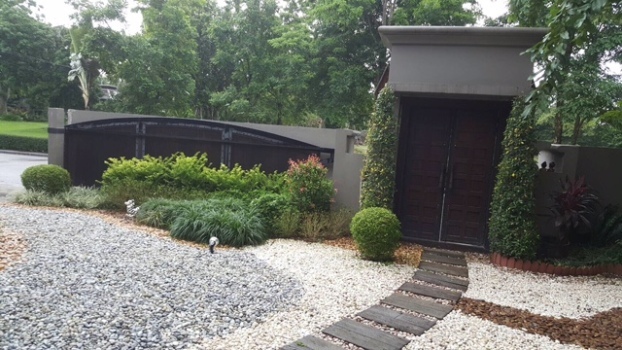 HR1794- House with private swimming pool for rent in Chiangmai Thailand. The luxury house, high quality and private indoor swimming pool. There are 6 bedrooms, high ceiling, open floor plan. 24 hours security, 15 minutes to the city. 150,000 baht per month fully furnished. 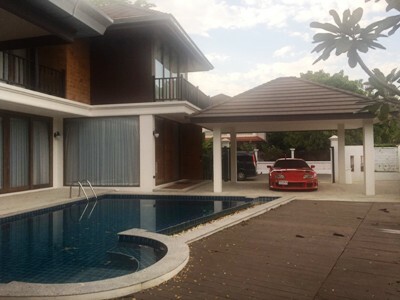 HR1915- House with private swimming pool for rent in Chiangmai Thailand. 1 main house (2 storage house with 4 bedrooms (41 sq. m., 37 sq. m., 32 sq. m., and 20 sq. m.) , 2 living, 1 dinning, 1 kitchen, 4 baths) All bedrooms are specious and have onsite bathrooms (7 sq. m., 7 sq. m., 5 sq. m., and 10 sq. m.) with big & wide picture windows overlooking the gardens. There is also a TV and mini fridge in every bedroom. There is one bedroom downstairs and 3 bedrooms upstairs. From the kitchen, a few steps up lead to a large dining room (30 sq. m.) and behind a room divider, there is the living area (57 sq. m.) Both dining and living areas have been designed with large and high windows that allow you to enjoy pleasing views of the gardens, swimming pool, and the Ping River beyond. The upper part consists of the three bedrooms, more spacious sitting area (54 sq. m.), office (23 sq. m.), and a balcony (14 sq. m.). 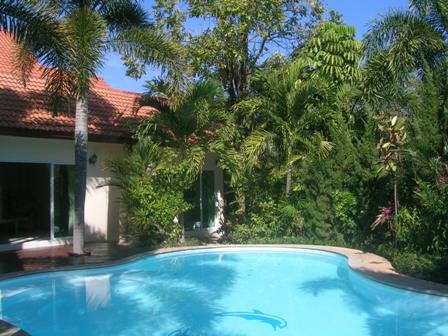 HR1949- House with private swimming pool for rent in Chiangmai Thailand. The beautiful luxury house with private pool for 4-5 bedroom , fully high quality of furniture. 15 mintures to the city center. 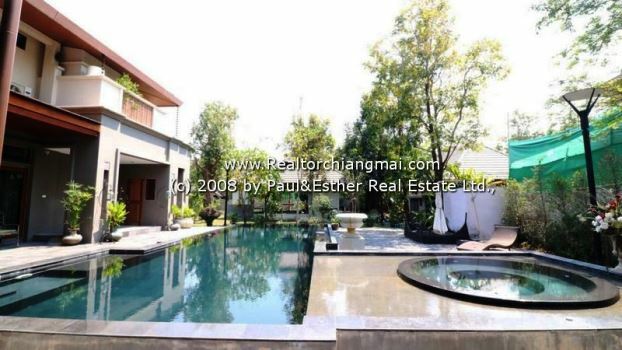 HR3049- House for rent with Private Swimming Pool in Chiangmai Thailand.